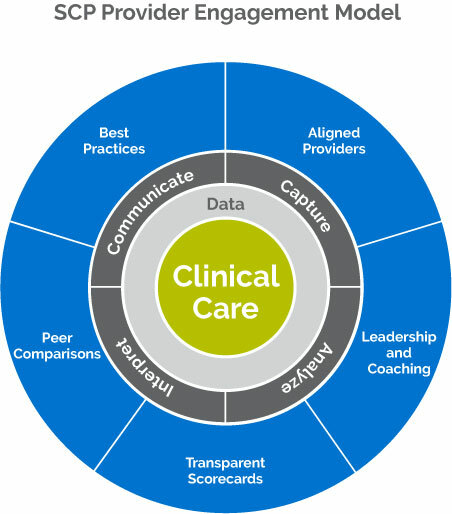 Your hospital collects data day in and day out, but you may not have visibility into these data points nor the manpower to transform raw information into actionable change. At SCP, we began collecting data and investing in data science almost a decade ago and have amassed a rich repository of more than 40 million patient encounters with 170 data points from each patient chart. Today we continue to invest heavily in innovative business intelligence software, data analytics tools, and revenue management platforms to study provider practice patterns, patient volume, operational, and reimbursement trends. This allows our physicians, providers, and hospitals timely access to data that allows empowered, intelligent decision-making. Excellent clinical care is at the center of everything we do. We leverage data in all aspects of our client engagements so that hospitals can rapidly implement desired changes and monitor the impact on patient satisfaction, clinical outcomes, and quality measures. Partnering with SCP means access to first-class data that will change the way you provide care, manage costs, and envision the future. Our goal is to help you exceed yours. With SCP’s robust analytics suite, you can monitor performance and get empowered with the information you need to continually improve care delivery. 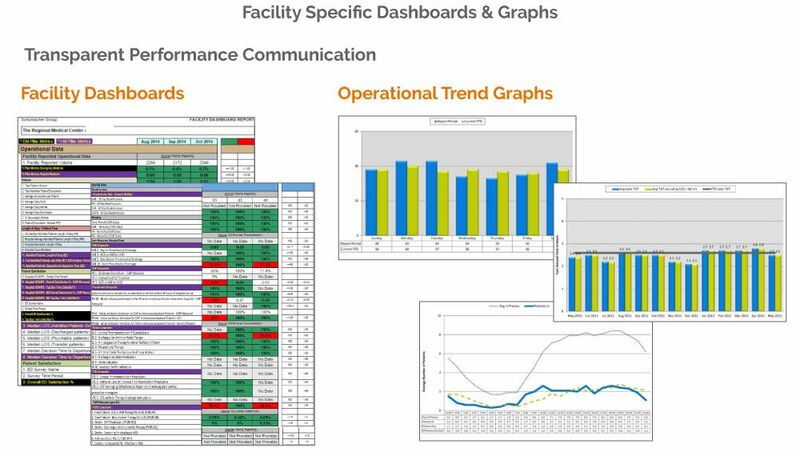 Facility dashboards give a high level view of your hospital’s performance. Compare to national benchmarks, review the efficiency of systems and processes, and make changes that increase productivity and improve market share. Providers get access to transparent data for performance comparisons between peers, across a system, compared to all SCP providers, and to national benchmarks. Also, we are the only company that has a near “real-time” Electronic Provider Feedback (EPF) mechanism that allows for documentation re-evaluation and deficiency corrections in a timely manner. This includes quality issues such as Core Measures and PQRS Metrics, as well as other potential documentation deficiencies. 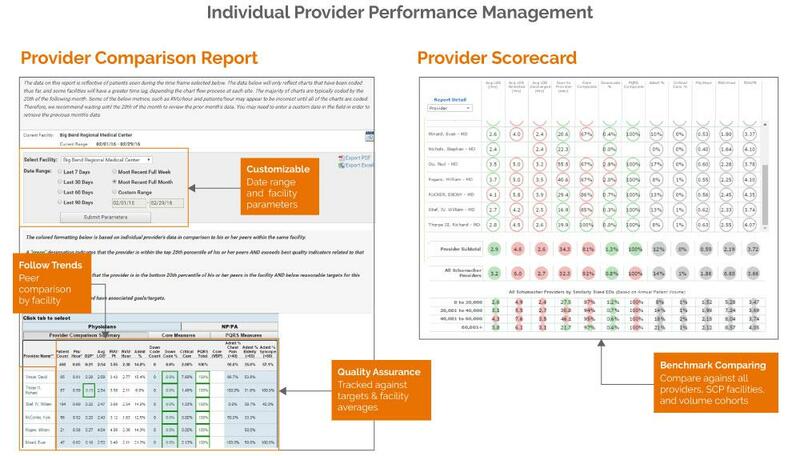 Achieve real-time provider comparison insights into response times, core measures, satisfaction, and documentation elements with the Provider Portal. 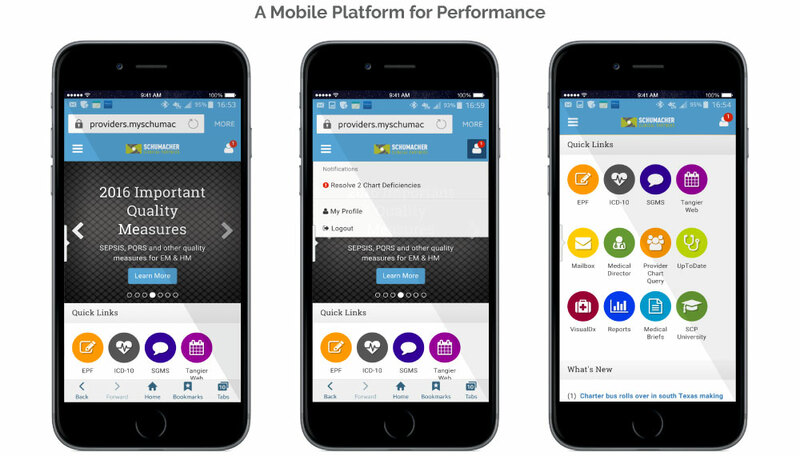 This integrated, connected, personalized, and scalable tool is available on desktop or mobile for convenient access. Our proactive and anticipatory approach combined with our robust data set allows us to identify treatment patterns and the needs of your specific community in real time. From disease outbreaks to seasonal flu patterns, you can use our data-powered custom insights to predict change and identify opportunities for your hospital.